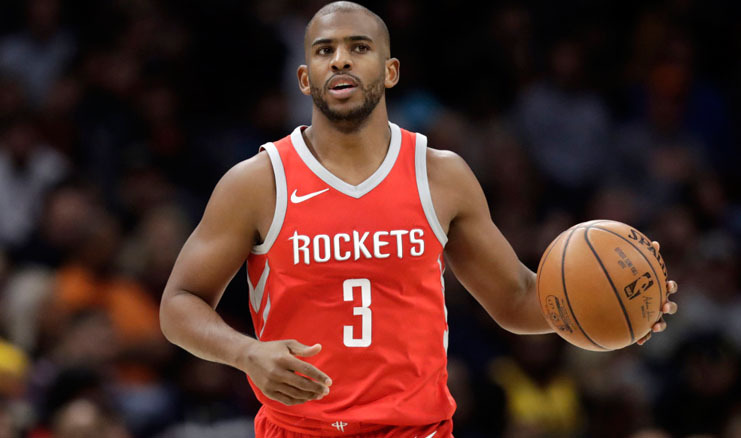 Houston Rockets General Manager Daryl Morey announced that the team has officially re-signed free agent guard Chris Paul. In his first season as a Rocket, Paul averaged 18.6 points, 7.9 assists, 5.4 rebounds and 1.66 blocks. He ranked sixth in the NBA in assists, 11th in steals, second in free throw percentage (.919), and fifth in assist-to-turnover ratio (3.57). The Rockets were 50-8 in games that Paul played in during the regular season, including 23-2 when he scored at least 20 points. The nine-time All-Star also averaged a career-high 2.5 3-pointers made in 2017-18. Paul hit at least three 3FGM in 30 games after not doing so in more than 22 games in a single season prior in his career. In March, Paul recorded his 2,000th career steal. He joins Jason Kidd, Gary Payton, and John Stockton as the only players with at least 8,000 assists and 2,000 steals. Paul ranks ninth in NBA history in assists (8,708) and 12th in steals (2,008). He leads all active players in both categories. Paul has averaged at least 18.0 ppg, 7.0 apg, and 5.0 rpg in fewer than 32.0 mpg in each of the past two seasons. No other player in league history has done so. Paul is the only player in NBA history with career averages of at least 18.0 ppg, 9.0 apg, 4.0 rpg and 2.00 spg.